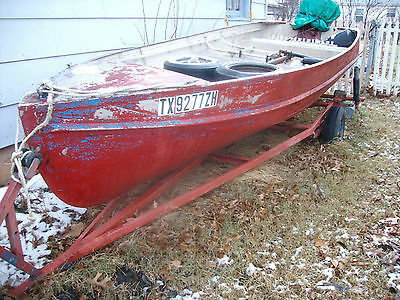 15 hp Evenrude motor, runs good, extras included. Have a trailer but needs work. 12' alum. 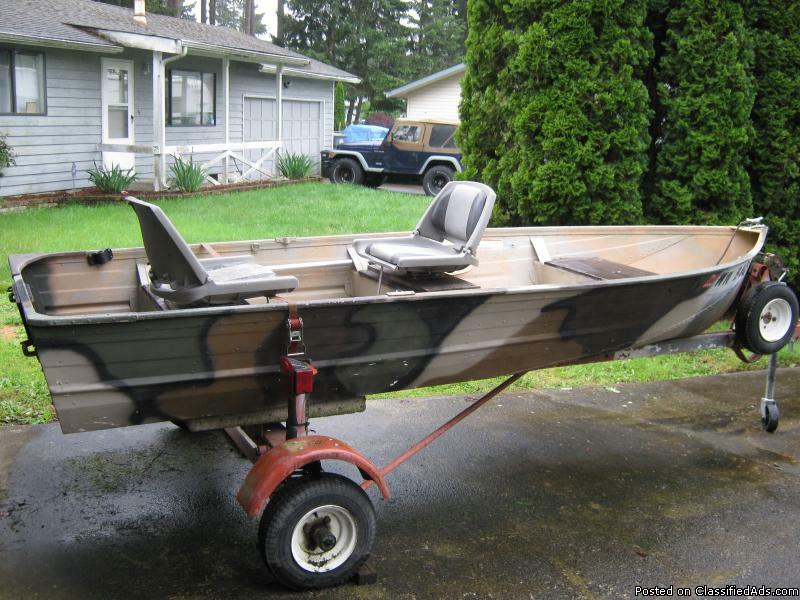 boat with trailer and 5hp four stroke Honda motor, runs well. Canvase cover , new bearings with bearing buddies, new impeller with extra one. 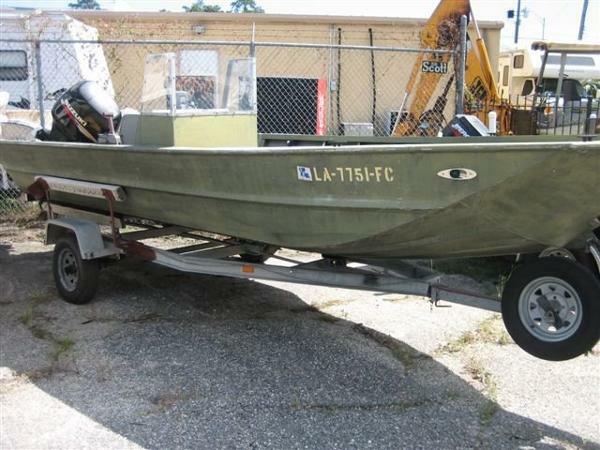 16ft aluminum fishing boat & trailer complete with a near new Yamaha 4-stroke 40hp engine. The engine has only 6 hours on it and is warrantied for 5 years. Three nicely upholstered swivel seats, great roller trailer with a new spare. Lots of extras and in great condition. $7500.00 or best offer.608- 782-6458 OR CELLPHONE 608-386-9081. 2013 22' Sportsman Boat, 2014 -200hp Yamaha four stroke motor and 2014 Alum. 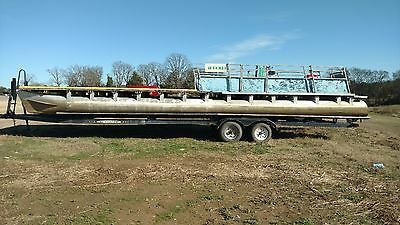 dule axle trailer. T-Top and Lowrance GPS. Been in water once and has about 2 hrs on rig. Selling due to back injury and surgery. Like brand new ! Selling price $46,900. Great buy ! Call (361) 688-4030. First time listed. Don't let this one get by you. 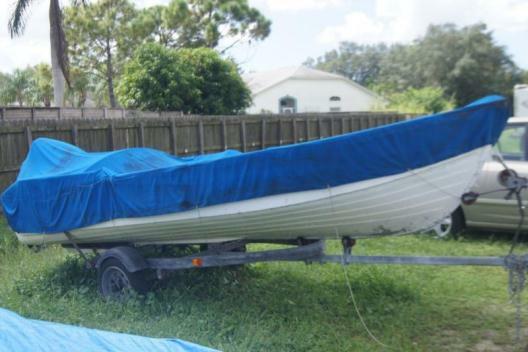 Boat, 1957 motor and trailer, no leaks no off, set for 1 week with water in it, did not leak out. 18Hp pull start motor , just had it redone last summer inside and out , some new parts added, Few pulls and ready to go, also comes with original gas tank, like new. 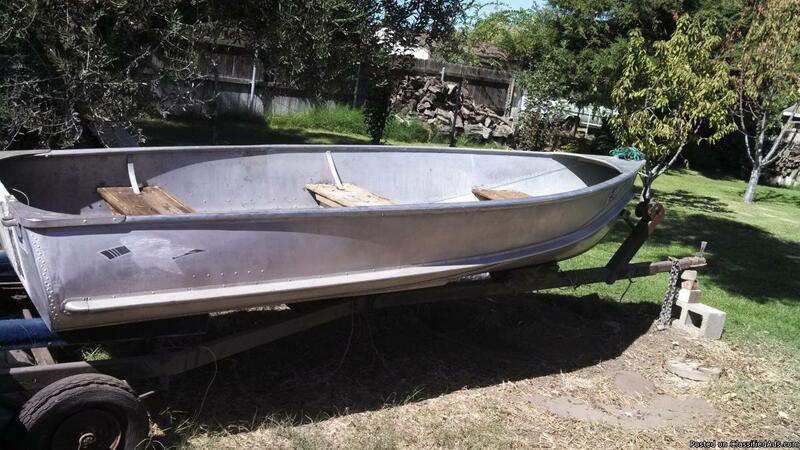 all original.All paperwork ready to sign by buyer to have put in buyers name from Texas Parks & Wildlife Dept.As stated does need lights and wiring. trailer could use new tires these will work but worn. ?Whole unit set for 5 years when tank and lakes were dry, Has stated engine has been done over and ready to go.Can Del. up to 100 miles for 25.00. are further negotcable.Email with any questions. 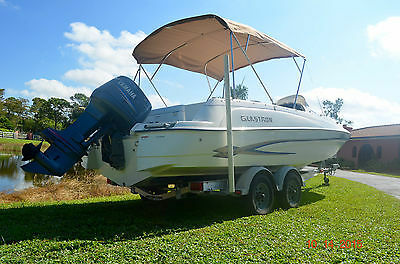 2008 Sea Ray 260 Sundancer/ Alum trailer ** IMMACULATE** BLACK BEAUTY** 2008 SEA RAY 260 SUNDANCER** 2010 TRIPLE AXLE ALUMINUM TRAILER INCLUDED** Upgraded Mercruiser 6.2 liter engine ( 5K upgrade) with Bravo Three outdrive and only 340 original hours. Upgraded gorgeous black gel coat. She is fully loaded with camper back canvas, Bimini top canvas, Ac and reverse cycle heated climate control, Lowrance flush mounted color GPS and chartplotter, VHF radio, upgraded Polk stereo with Sirius radio, full galley, full marine head with vacu flush electric system with deck pump-out, transom hot and cold water shower, hot water heater, shore power, electric engine hatch, walk thru winshield, new mooring cover, refrigerator, microwave, snap in cockpit carpet. This boat is immaculate! The sleek design is only one of the many premium upgrades on this roomy 260 Sundancer. 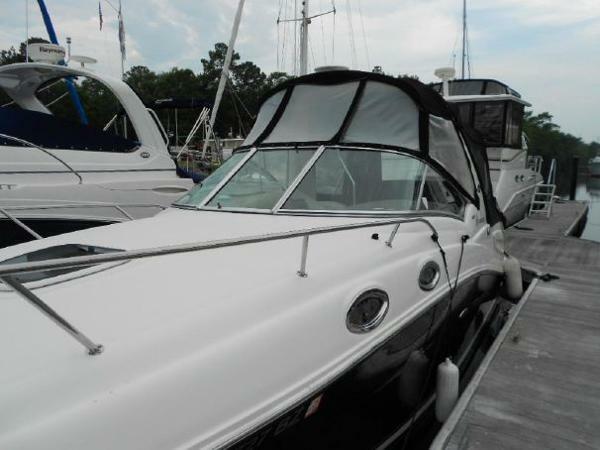 Typical Sea Ray ergonomics designed throughout make this boat rival any other in its class. Also added a translucent deck hatch with locks and sky screen cover, plus a transom storage compartment with gas-assisted lid. It's the best boat in its class, with all the extras you would expect from a much larger, more expensive cruiser. COMES WITH A 2010 NEW CONDITION NOT USED VENTURE TRIPLE AXLE ALUMINUM TRAILER WITH STAINLASS FENDERS AND DISC BRAKES (6K UPGRADE). Do not miss this one at this price!! 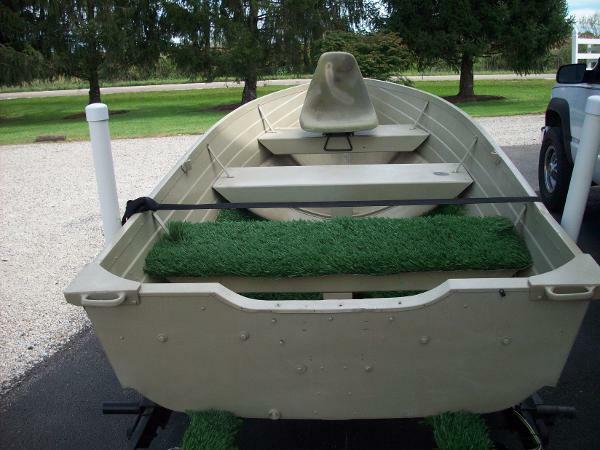 Boat is available with-out the trailer for47K.